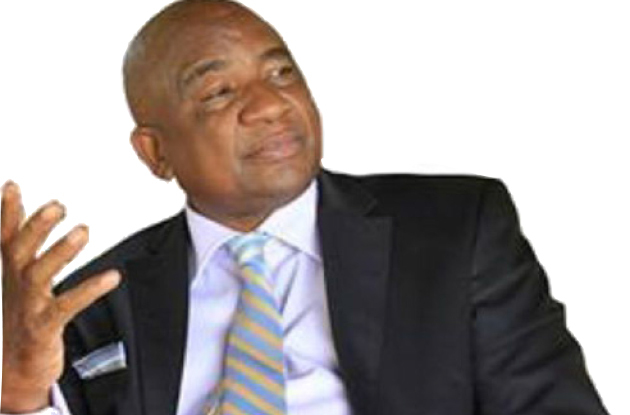 ZIFA have taken their begging bowel into the social media zone with the Association's president Philip Chiyangwa appealing to all the football-loving citizens to donate at least $5 to assist his organisation with funding the national team assignments. Fresh from Nigeria, where he met Fifa boss Gianni Infantino, Chiyangwa yesterday morning appeared in a video clip, which runs for two minutes, appealing for funds. Clad in a red-shirt, the Harare businessman appeals for support from Zimbabweans to help the debt-ridden football association, weighed down by a $6 million debt, to lift the morale of the players in major upcoming tournaments. "Good morning my fellow Zimbabweans, particularly football lovers," says Chiyangwa. "I am appealing to you to support our national team. I would like to raise money good enough to motivate our football players - both the women's and men's soccer teams. "The Warriors qualified for Africa Cup of Nations and are going to be making all of us proud. This is all because if you contribute to ensuring all their incentives are in place it will also reap rewards for all of us. "The women (Mighty Warriors) are currently in Rio and also qualified for the African Championships in Cameroon, they also need money." The Zifa president goes on further to appeal for any amount from the supporters and says he is going to raise more awareness towards this campaign. "I am appealing to every Zimbabwean who has a heart to grow our football to support our soccer to contribute $5, $10, $15," says Chiyangwa. "I will be putting across an advert or adverts for the sake of this particular campaign. It would be either on Instagram or newspapers or any other media (platform). "I look forward to your support in order for us to be all successful. Once Zimbabwe lift up the Africa Cup, once the women go and lift the Caf Cup, it will be joy for Zimbabwe. "It will bring pleasure and happiness. I am yours and willing to engage you, corporates and individuals, in this particular campaign. "I leave it with you and I look forward to your support. Thank you very much." Zifa doesn't have corporate partners to fund the Warriors and the Mighty Warriors and, in the absence of funding from the government, they have struggled to finance the activities of the national teams. They have been relying on the individuals, led by businessman Wicknell Chivayo, who has poured in personal funds, estimated to be around $1 million, to assist the national teams. Chivayo has been paying the Warriors' bonuses, including a $250 000 bonus to the team for qualifying for the 2017 Nations Cup finals, while also paying the salary of coach Callisto Pasuwa. The Mighty Warriors, who will play their first match at the Olympic Games tomorrow against Germany, will also be part of the elite African teams that will participate at the women's version of the Africa Cup of Nations in Cameroon in November. Zifa have faced perennial funding problems and the current executive inherited a $6 million debt from the previous leadership. The previous Zifa leadership, led by Cuthbert Dube, tried without success to launch a donate-a-dollar-to-football initiative. What a freaken joke.. Not so long ago you would boost about you riches, dude dig deeper. Are you seriously asking the struggle people of ZIM to donate for soccer when there are REAL pertinent bread and butter issues to be resolved. Chiyangwa do another video telling your uncle Bob to leave our Zimbabwe first, then we can talk about donations.